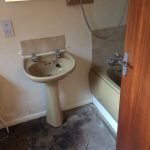 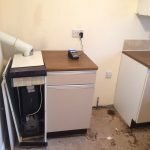 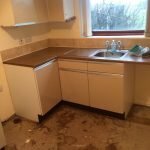 House Clearance Service In Pollok Glasgow Carmyle Carntyne Colston Cowcaddens Cowlairs Craigend Cranhill. 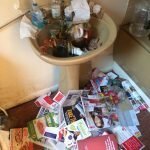 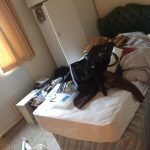 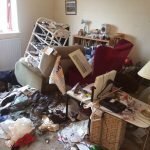 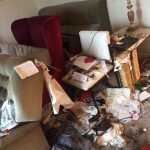 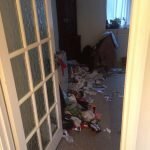 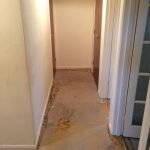 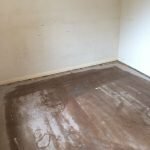 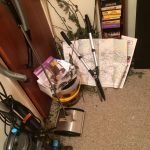 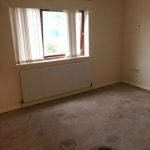 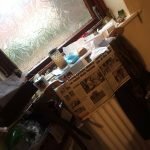 I have a two bedroom flat in Pollok – Glasgow and i am shortly moving abroad, i need a lot of furniture cleared away, this includes a double mattress, a three piece sofa suite, two bedroom chairs, a dining table and four chairs, a small bookcase, two wardrobes and a desk chair. 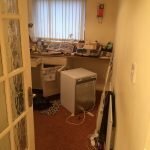 Can i also have a quote for a clean. 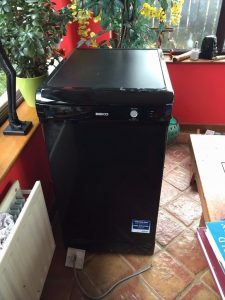 A black Beko slimline under counter dishwasher. 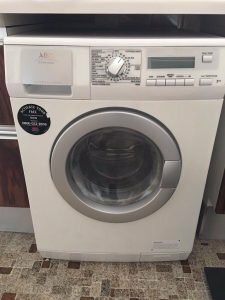 A white AEG 7kg under counter tumble dryer. 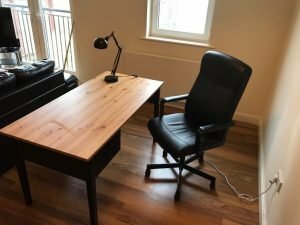 A solid pine topped rectangular one drawer desk, together with a black faux leather swivel desk chair. 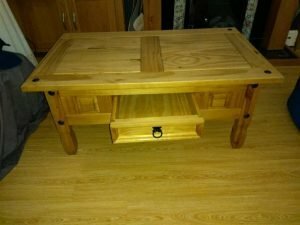 A solid corona pine rectangular coffee table, with one storage drawer. 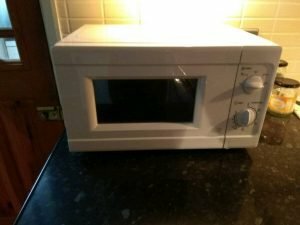 A white Curry’s Essentials 600w microwave oven. 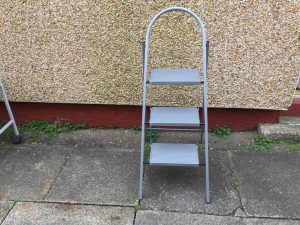 A chrome three step foldable step ladder. 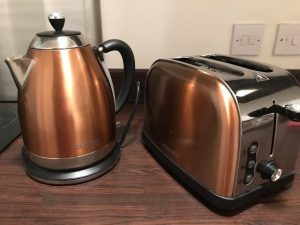 A copper and stainless steel Goodmans kettle, together with the matching two slice toaster. 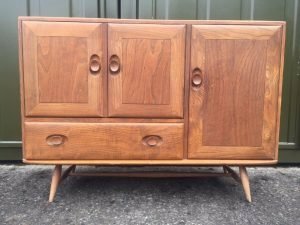 A vintage 1960’s beechwood and elm sideboard, having a single cupboard to the side of a double cupboard over one drawer. 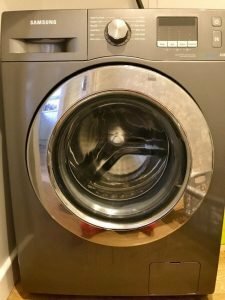 A silver Samsung 1400 spin 8kg under counter washing machine. 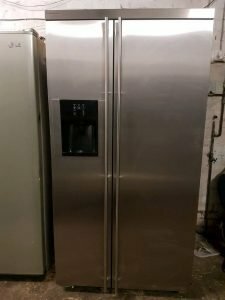 A stainless steel Kuppersbusch American style two door fridge freezer, with built in water and ice dispenser. 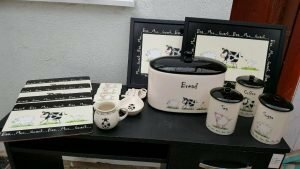 A collection of black and cream farm animal decorated kitchen accessories, to include a bread bin, place mats, coasters, trays etc. 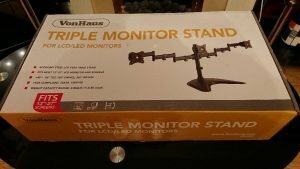 A brand new boxed VonHaus black triple monitor stand for LCD/ LED monitors. 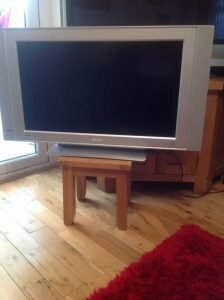 A silver surround Phillips 32 inch Plasma television. 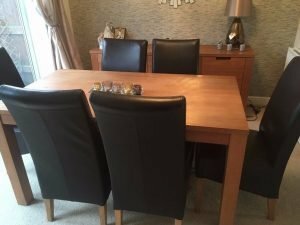 A large rectangular solid oak dining table, together with six high back dining chairs, upholstered in black faux leather. 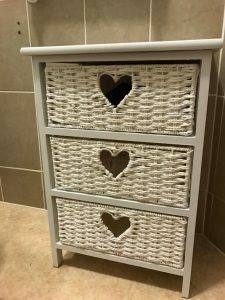 A white solid wood bathroom unit, having three white wicker drawers. 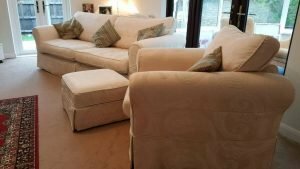 A three piece sofa suite, comprising a two seater sofa, an armchair and a square footstool, upholstered in cream patterned fabric.